Equipment (to 02 NOV 2019): cable TV; internet access Wi-Fi (included); Heating. 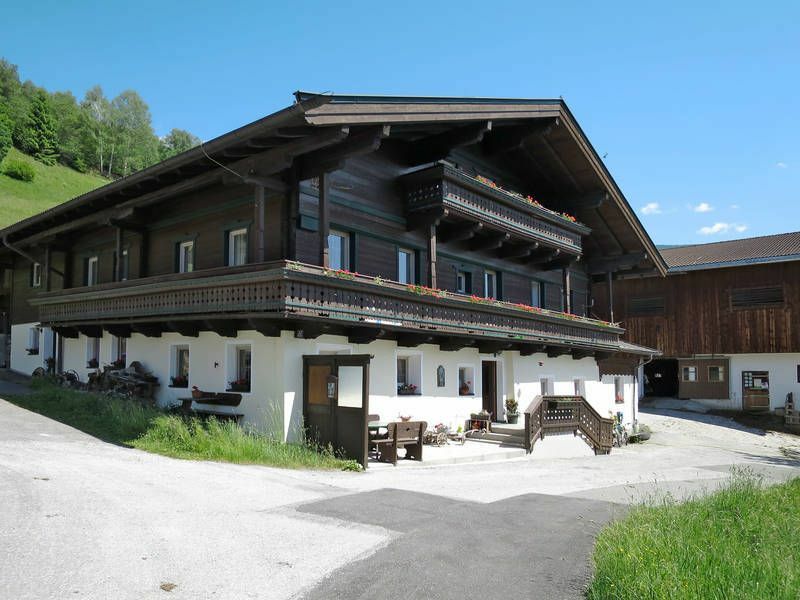 Equipment (from 02 NOV 2019): cable TV; internet access Wi-Fi (included); Heating; ski/ski-boot storage. Feature: farm house, agricultural estate. Furnishing: good, friendly, tiled floor, wooden floor. Please note: Non-smoking house. Owner lives in the house. apartment, 4 - 6 people, 3 room/s, 2 bedroom/s, 1 bathroom/s, approx. 70 m², 1 floor/s, apartment on floor 1. Kitchenette: Kitchen/ cooking equipment: 4 ceramic hobs, oven, dish-washer, refrigerator, coffee machine, water boiler, toaster. in the living room. Estate: (shared use with the owner): open plot, yard. On the estate animal husbandry. Outdoor facilities: (shared use): terrace, furnishing provided, sunshade, gas barbecue. Situation: in the district Walchen, rural, panoramic view. Plot description: 2 x parking near the house. balcony. Beach/waters: Lake in approx. 14 km (Zellersee). Lake in approx. 6 km (Niedernsill). Cable car: Kitzsteinhorn, in approx. 15 km. Cross-country skiing trail (from 02 NOV 2019): in approx. 2 km. Next village/town: Center Piesendorf in approx. 4 km. Kitzbühel in approx. 45 km. Zell am See in approx. 18 km. Public swimming pool: Public outdoor swimming pool in approx. 4 km (Piesendorf). Shopping: Next shopping possibility (Walchen) in approx. 2 km. Ski run (from 02 NOV 2019): Glacier skiing resort in approx. 15 km. Kaprun in approx. 8 km. Nagelköpfellifte in approx. 500 m.
Zeer gastvrij. Prachtig afgewerkt, zeer ruim en compleet appartement. Prachtig uitzicht! Dank aan Claudia & Rupert!